This Test Bench characterizes the new Dayton Audio Epique E160CF-8 midbass driver, from the company’s new Epique high-end transducer line. 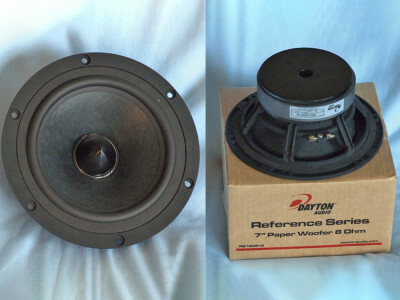 This new 5.25” midwoofer is Dayton’s entry into the ultra-high-end driver market. Dayton built it with the intention of competing with the likes of SEAS, Scan-Speak, Eton, Accuton, and Morel. Applications for the E160CF-8 include use as a midrange in a multi-way speaker or as a woofer in a two-way speaker. This article was originally published in Voice Coil, September 2018. 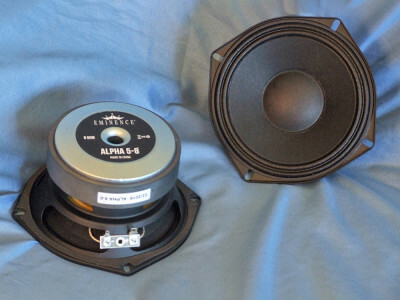 For this test bench article, I characterized the New Eminence Alpha-5-8 5” line array/column array midbass driver. 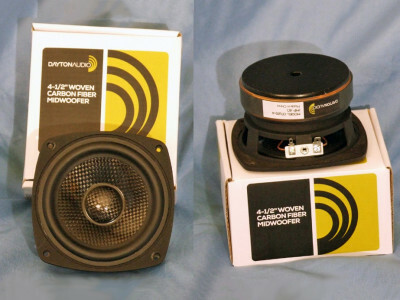 This a new 5” midwoofer from the American Standard Series, a 24-model transducer line of epoxy-acrylic finished stamped frame woofers and midranges. Applications for the Alpha 5-8 include use as a midrange in a multi-way speaker, as multiples in a line array, or as a compact column PA speaker. This article was originally published in Voice Coil, August 2018. PRV Audio announced two new mid frequency drivers optimized for very powerful pro audio applications. 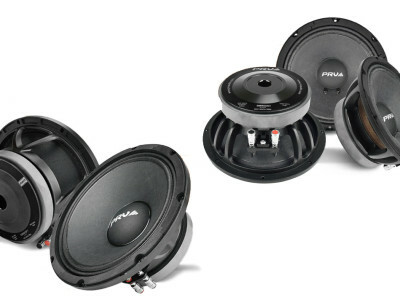 The 10MB800FT is a rugged 10" mid bass woofer that combines a remarkable SPL output with low distortion and extended bass response, optimized for compact enclosures and larger 2 or 3 way systems. 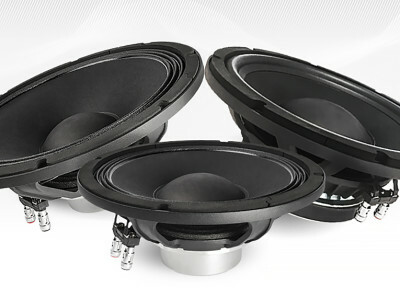 The 8MR600X focuses on high output mid range performance, with a sensitivity of 98 dB, using a 2" voice coil to ensure high heat dissipation and the necessary motor strength to deliver high sensitivity even on high power with the minimum distortion. Previewed at an exclusive event in Munich, in May 2017, Scan-Speak has now launched the first two drivers in its Ellipticor line, combining a series of design innovations such as elliptical voice coils, resulting in lower distortion, combined with higher SPL. 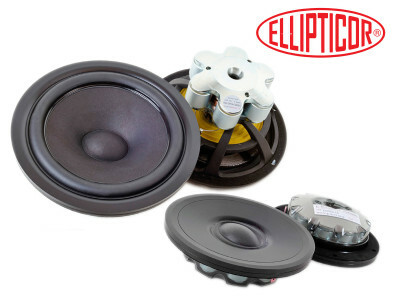 The first two Ellipticor drivers released by the Danish brand include the D3404/552000 tweeter and the 18WE/4542T00, a 6.5” midwoofer. Striving towards perfection, the professional speaker catalogue by FaitalPro has been expanded at Prolight+Sound 2017 in Frankfurt with the introduction of three new woofers. The new 12RS550, 12PR320, and 10PR320 models, are specifically targeting the competitive and fast moving European pro audio and MI market. In a landscape of great performance and reliability, FaitalPro submits three new woofers in direct response to increasingly demanding requirements. 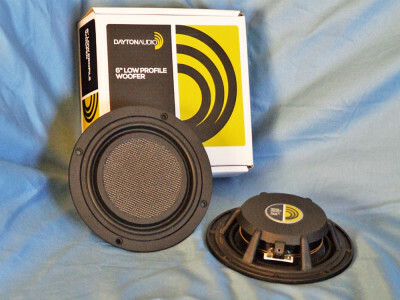 This edition of Test Bench characterizes Dayton Audio’s new 6” diameter ultra-low-profile midwoofer, the LW150-4. This is a new ultrathin profile cone 6” diameter midbass driver featuring a six-spoke cast-aluminum frame with a 1.5” total depth. The depth reduction is significant as the motor assembly is housed inside the frame and uses a neodymium slug and a 1.5” diameter return cup that incorporates a T-pole. This article was originally published in Voice Coil, March 2016. 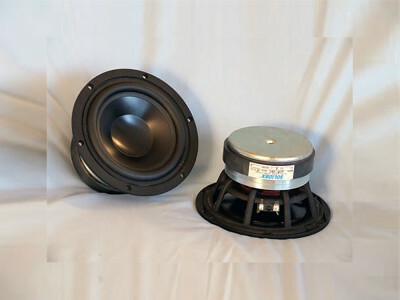 In this Test Bench, Voice Coil characterizes Dayton Audio’s new 4.5” diameter carbon fiber cone midwoofer, the CF120-4. This new midbass driver from Dayton Audio features a pin-cushion style four-spoke cast-aluminum frame. 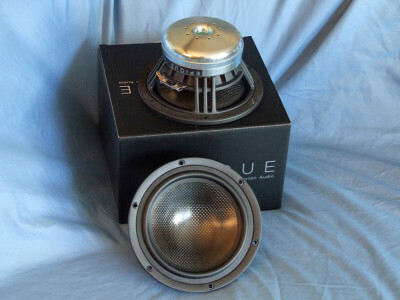 For the cone assembly, Dayton Audio chose a rather stiff curved profile woven carbon fiber cone with a 1.13” diameter convex woven carbon fiber dust cap. This article was originally published in Voice Coil, February 2016. This month, the Test Bench samples came from a relatively new high-end home audio company. 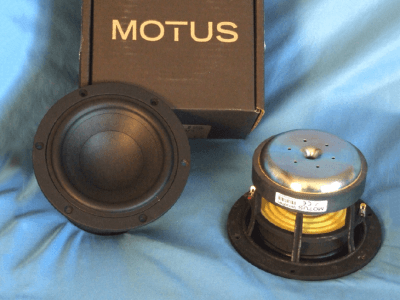 From high-end home audio OEM manufacturer Motus Audio, I received the UH130PW1, a 5.25” mid-bass driver, an impressive looking mid-bass transducer, with a similar feature set as several other European high-end mid-bass woofer brands. This article was originally published in Voice Coil, January 2016. This Test Bench article focuses on a product from Exodus Audio, a high excursion 6.5″ aluminum cone midwoofer, the W06-017R, which was known in retail under the name “Anarchy.” This article was published originally in Voice Coil March 2010 and the company’s website, DIY Cable and Exodus Audio, from Port Angeles, WA, sadly closed it’s doors in June 2011 (after 10 years and 6 months in activity). We thought we should make this review available to all, maybe as a way to inspire other transducer engineers.